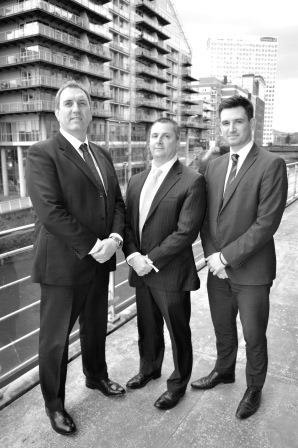 Roger Hannah are delighted to unveil a new look Agency team, including the recruitment of 3 new Surveyors within the space of 6 months. The focal point being the recruitment of Julien Kenny-Levick as Head of the Department to work alongside Dan Rodgers and Robert Gann. 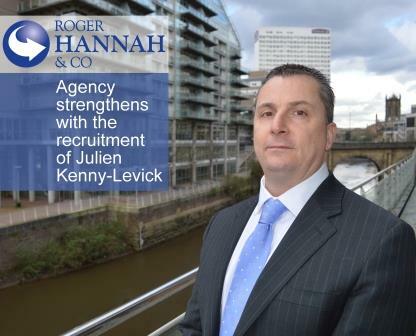 Kenny-Levick joins from his previous role as Head of Industrial & Logistics at Colliers Manchester, to work alongside Dan Rodgers another recent recruit from Hallams in South Manchester. Director, Stuart Cooper is delighted to state “These new recruits show a real commitment and investment by Roger Hannah, to drive the progression of the Agency Department and a willingness to serve regional and national clients in the North West. Particularly Julien’s recruitment is seen as a real coup and will give the department a renewed focus which will see a step change in the stock and clients we will be dealing with. These new staff investments will enable Stuart to concentrate on developing one of Roger Hannah other ventures, Auction House North West, plus overseeing the continued growth of the Investment Department.